What is the difference between Kaspersky Internet Security and Kaspersky Total Security?. Kaspersky Total Security is Kaspersky Internet Security enhanced with even more useful and user-friendly tools. Bitdefender Free VPN included (Limited to 200 MB daily traffic). 4 years subscription details are embedded to your download. Download needs to be installed within 5 hours. Mcafee Antivirus for 1 Year. How would you live without your computer?. Software need to download from McAfee website. Cyber criminals are masters of disguise. Unused applications, cached browser files, and other junk slow down your PC. LATEST Kaspersky Internet Security 2016 3 User Multi device. The best of Kaspersky for your PCs, Iphone, Macs, Smartphone and Tablets. Kaspersky Internet Security 2016 Multi Device 5 User - 1 Year (PC,MAC, IOS). Microsoft Windows 10, 8, 8 Pro, 7. They have paid the item?. Must have Google Play app installed. 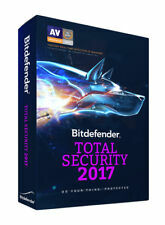 Bitdefender Total Security 3 Years - 2 Devices Subscription - Download. Bitdefender. DIGITAL DOWNLOAD ONLY, YOU WILL. 3 Years subscription details are embedded into your download link. We provide full technical support if you encounter any issue. Microsoft Windows 10, 8, 8 Pro, 7. Must have Google Play app installed. iOS: iOS 7 or later - Certain functions are not available on iPad or iPhone. They have paid the item?. Microsoft Windows 10, 8, 8 Pro, 7. Must have Google Play app installed. They have paid the item?. LATEST Kaspersky Internet Security 2016 1 User Multi device. The best of Kaspersky for your PCs, Iphone, Macs, Smartphone and Tablets. Kaspersky Internet Security 2016 Multi Device 1 User - 1 Year (PC,MAC, IOS). Kaspersky Internet Security 2015 Multi Device 3 User - 1 Year (PC). Kaspersky Internet Security – Multi-Device allows you to conveniently secure any combination of your PCs, Macs, and Android tablets and smartphones – up to 3. For new installations, you get Bitdefender 2019 version only. Bitdefender AntiVirus PLUS. You can change all information about Bitdefender Central Account after installation. Choose Bitdefender Antivirus Plus 2019 for the best value on the market. For Mac OS: Antivirus, Antispyware. - For Symbian OS: Antivirus, Antispam. - For Android: antivirus, antispam, Antitheft. 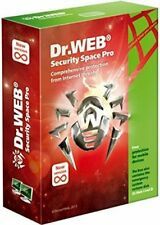 Dr.Web Security Space PRO: an extension of 2 year for 2 PCs. Why choose BullGuard Antivirus?. Independent tests have established that BullGuard Antivirus has the best malware catch rates. 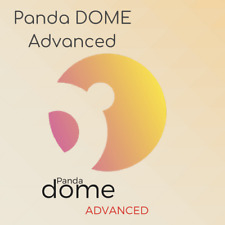 It features multiple layers of defence providing an impenetrable protection system. Dr.Web anti-viruses use a record low number of virus definitions in their database; one entry can identify dozens, hundreds or even thousands of similar viruses. 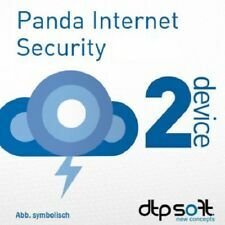 This allows Dr.Web to detect a substantial portion of unknown threats. Converts any new threat encountered by an AVG user into protection for the entire AVG community. All other trademarks are acknowledged as belonging to their respective owners. You can even schedule Internet Security to run whole-computer scans when you're away from your computer. Trend Micro Maximum Security - 2 Devices (Key Only). 1 years of protection for 2 Devices. Works across multiple devices. 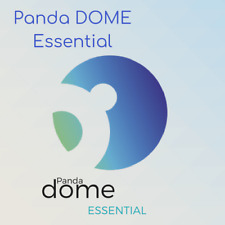 includes Anti Virus, Firewall, Internet Security, Malware, Adware & much more.